Move-in ready! All the updating has been done for you! Hand-finished hardwood floors seamlessly flow from the entry and throughout the open, main-level living area. Soaring ten-foot ceilings and abundant natural light from the floor-to-ceiling windows (with transoms) contribute to the open atmosphere. Walk-in hidden pantry and lots of cabinet space in the kitchen with beautiful granite countertops. A FULL bathroom and walk-in closet for each bedroom! Home also has inground sprinkler system & composite deck. From K-10 go North on Woodland to 101st St. go West to Sunset go North home on the right. Lenexa is located in Kansas. Lenexa, Kansas 66220 has a population of 52,490. The median household income in Lenexa, Kansas 66220 is $75,400. The median household income for the surrounding county is $75,017 compared to the national median of $53,482. The median age of people living in Lenexa 66220 is 36.6 years. 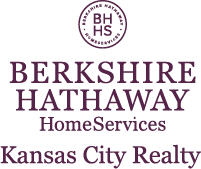 I am interested in 10009 SUNSET Drive, Lenexa, KS 66220.